It felt surreal, as we neared to Mt Ruapehu. The scenery changed from forest brown to shades of white and I was filled with ecstatic happiness. Coming from a country where it's literally summer all year round, to see snow was always on top of my bucket list ever since I was a kid. New Zealand is naturally cold in weather especially for me who's from a tropical country. I've yet to experience the joys and pains of snow until we moved here. Auckland is one of the places in New Zealand where snowing is a rare sight. The last time snow settled in Auckland was around August of 2011 is what I was told. 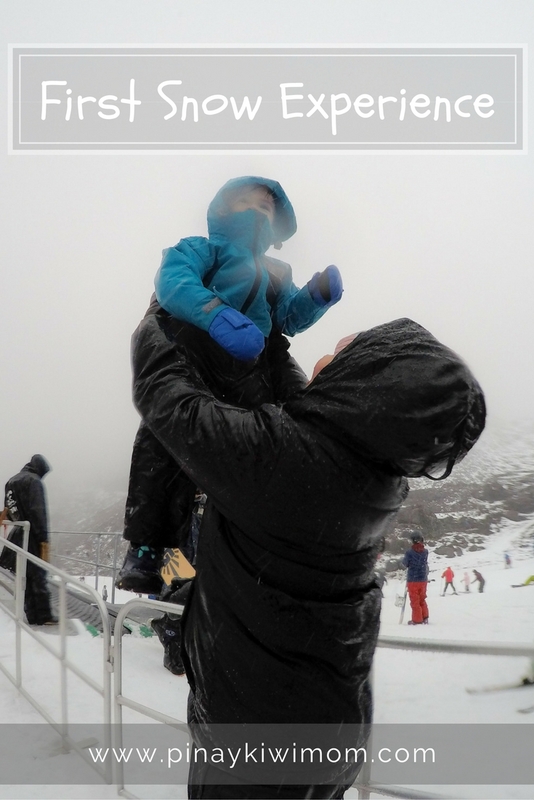 If you wanted to see snow, mountains such as Mt Ruapehu, a major ski resort were your go-to places. And in our case, that was where we were headed. Mt. Ruapehu, a 6 hour drive away from Auckland, was our first road trip adventure here in New Zealand. We hit the streets around 9:30am with our good friends Ed and April, the former behind the wheel since JoEd has yet to receive his driver’s license. Since the trip was a couple hours away, 3 weeks before the scheduled date, we booked a bach in Turangi to spend 2 nights there. On the way, the scenery was breathtaking. It was very clean and green as far as the eyes could see. We arrived at Turangi late in the afternoon after two stops along the way and about 60 km left to Mt Ruephaulo to stay for the night. Another tick off from my bucket list – to see snow. The day started with us waking up at 5:30 am. The journey from Turangi to Mt Ruapehu was about an hour drive. As we neared our destination, you could say I was giddy as a school girl, because the moment we started to see snow from out the car’s window, I shouted with joy. The excitement overwhelmed me. Almost everything was covered in powdery white snow. It took us nearly an hour to dress up Zane. He just hated wearing all those thick clothes especially boots and gloves. We had no choice but to force him otherwise he'd freeze outside. As much to our excitement, the weather wasn’t on our side unfortunately. It was raining and most of the ski areas had fees now unlike previous years where it used to be free. We couldn’t push through with sledding due to the bad weather but we still made the most of our time there, well it’s not every day that you got to see snow. Our snow adventure had to be cut short due to the weather getting worse. We were all shivering because of the rain soaking in our clothes. When we returned to the car, Zane kept crying and shivering and teeth chattering, we were very worried he might get hypothermia or something. We had to keep him warm and turned on the cars heater. Luckily, after a while, Zane calmed down. Although our first snow experience wasn’t what we expected, and sure it was somewhat terrible for Zane. But nevertheless, we made the most of it and still managed to enjoy. Hopefully by next winter, we would have a better experience.